2. Who speaks for Islam? 9. 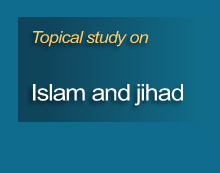 What is "jihad" - in their words? Legacy of the "religion of peace"